AECS was engineered, built, tested and delivered to NASA DFRC in October 2011. AECS serves as a realistic platform for the evaluation and demonstration of emerging verification and validation methods in support of the Joint Planning and Development Office’s Next Generation Air Transportation Systems (NextGen) program. AECS is designed to address the critical lack of validation and verification methods needed to certify the safety of complex NextGen systems. 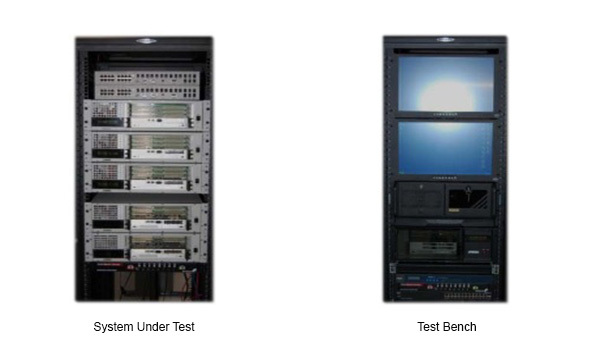 The NextGen verification and validation methods of flight critical systems to be tested on AECS includes: (1) argument-based safety assurance, (2) distributed systems, (3) authority and autonomy, and (4) software intensive systems. For AECS, all flight-equivalent lab units and the signal generator computer run on Wind River’s VxWorks 653. The Avionics Simulator operates on Windows XP.